Full featured original BD menu playback. User oriented media playing control. Compare with Mac Standard version . 1. Apply for a one-year free license for PRO Version. >> Get the FREE license NOW. 2. Contact Macgo Support Team to get a lifetime license for PRO with more discount. 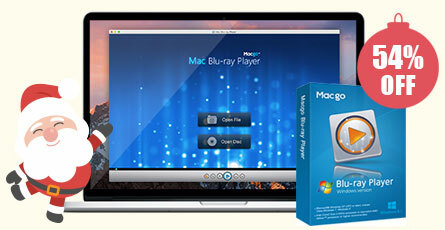 First and No.1 Blu-ray player on Mac OS. Support Blu-ray discs, ISO files and BDMV folders. Mac Blu-ray Player Standard & Windows Blu-ray Player Standard. Current Pro version requires MacOS X 10.8 and above. Your MacOS doesn't meet the minimum requirement. Please download Mac Standard version. Current Pro version requires MacOS X 10.8 and above. Your MacOS doesn't meet the minimum requirement. Please purchase Mac Standard version.